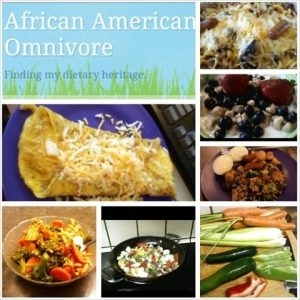 African-American Omnivore shares the truth about African-American nutrition, health, foodways, & dietary heritage. AAmnivore dispels the myth that African-Americans should avoid their traditional foods and shares how these foods can be a foundation for health and wellness when prepared traditionally.. AAmnivore explores the health issues that seem to disproportionately affect African-Americans, and explores the underlying causes and their potential solutions. 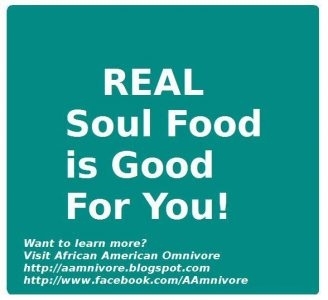 REAL soul food is good for you! AAmnivore is also my personal health and weightloss journey incorporating intuitive exercise and moving beyond conventional dietary myths into real foods nutrition based on to the teachings of Dr. Weston A. Price.